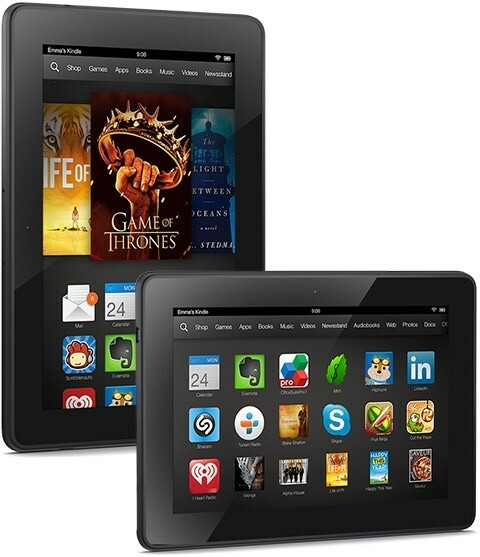 Not only do the new Kindle Fire HDX tablets boast higher res displays, overall upgraded specs and a more compact footprint, they will also allow users to download Amazon's instant video content to view offline for free, the company announced today. As many have said, this is the first time a US based paid streaming outlet has implemented this kind of functionality. The feature, available to Prime members, will allow you to download a TV Show or movie with up to 30 days to start watching it, and 48 hours to complete it once its been started. This is certainly great news for Prime members and Kindle owners, but only a portion of the instant video library is available through this feature. Amazon says only a certain subset of videos will be included without having put out any specific details. According to the company, even though certain rights holders haven't signed on yet, the movies and TV shows available are still somewhere in the "tens of thousands" range. Some have suggested that this could amount to around half of the service's current 41,000 titles. So far Amazon has partnered up with some of the major players in the space including CBS, NBC, Viacom, Sony and Warner Bros . Users can expect to see titles like Under the Dome, Downton Abbey, Justified, Dora the Explorer, and Goodfellas, to name a few. While Google previously announced similar functionality coming to its mobile applications, and even though this is the very first time a paid subscription based service has offered this feature, its likely not enough to make Amazon's video service stand out anymore than it already does (doesn't).